← Who you calling a sissy? Poetry seems to stalk the streets of Liverpool. Okay, that may be a slight exaggeration given I’m basing it on a mere two examples, but they are good ones. I’ll start with the most recent. 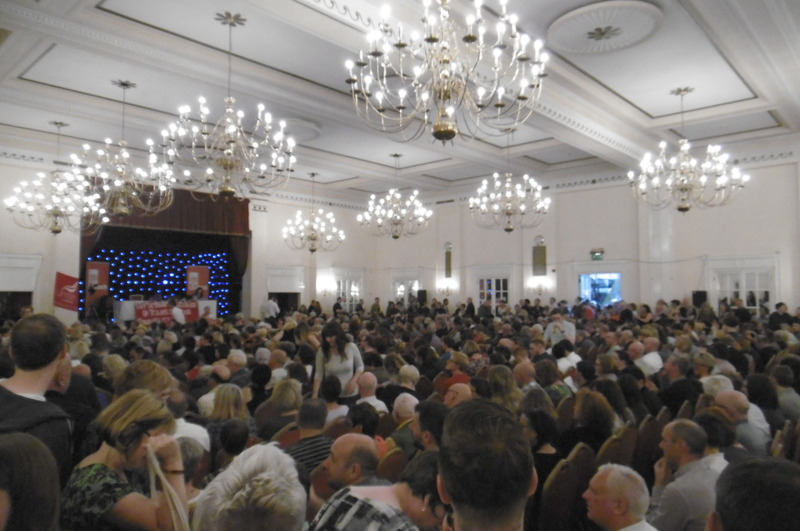 Last year I went to a political rally in a well-known hotel in the city centre. A first for me – a rally organised by trades unionists in support of a left-wing member of parliament. The atmosphere was way above buzzing. It was crackling, fizzing, bursting. As was the room. Bursting I mean. Health and safety rules had fled long before the fire exits were blocked. It’s a miracle we weren’t squashed like flies against the mirror doors behind us. But skip the rousing speeches, the roars of wild applause, the chanting. On the way out, a man stood on the steps, handing out business cards. I assumed he ran a taxi business. Or a radical magazine, something of that ilk. But when, months later I came across that card – white type out of black, making it hard to read – it turned out he was a poet. Now … peer into the TV screen of time and ripple back a few years. We’ve been to our local community cinema. It’s a sunny summer’s evening, light and warm. We’re walking out, hand in hand (ahh), when we both notice a man, standing on the inner edge of the footpath, watching passers-by. He looks sort of furtive. Without saying a word, we both know we’ve noticed, acknowledge we won’t acknowledge him, carry on chatting banalities. We pass him, hoping he won’t launch into a rant. We’re feeling good, post-film. Don’t want any tirades. But he steps right up to us, proffering a booklet. Polite beings that we are, we stop and listen. ‘I hope you don’t mind,’ he begins. And minutes later we walk away – or he does. Yes, I think he does. Leaving us bemused, almost tearful, but feeling warm inside. He met his wife of many years at this same cinema. She’s no longer in this world – and he misses her. Writes poems. Printed some in this booklet I hold in my hand. So far, so sad, even if so beautiful. But there’s more. He watched as people left, waiting for a couple, two people who looked happy in each other’s company. And he selected us, on that basis, for his gift. I’d like to share some of that poetry with you, but the booklet is lost amid boxes and papers, envelopes and biros, huddled in the spare room while my office is stripped, a radiator moved, two holes in the ceiling repaired, a carpet replaced, the walls painted. It may be some time before I find that very slim volume. Sitting in front of me as I type, though, is another booklet. A small book in every way except ambitions and meaning. It’s called The Gifts of Reading. The author is someone called Robert MacFarlane. An essay in 34 small pages, it’s about the author – aren’t all books ultimately? But it’s also about the giving and receiving of gifts, the giving and receiving of affection, the giving and receiving of friendship. The booklet itself is a gift to me from someone, a kind, caring person, who bought several copies to give away. A stratagem for being humankind endorsed by Mr MacFarlane. The proceeds from the little book go to Migrant Offshore Aid Station. That’s being humankind, too. But even if the proceeds went to the author, the gift has already given. It’s kind, it’s thoughtful, it’s touching. The world is a weighty burden, at the moment. To think about the state of things is to feel bowed, dismayed, even hopeless. In Britain we have somehow voted to leave our friends in Europe. Our politics are in turmoil – and in that we’re not alone. Hate and paranoia lurk in the ether like evil sprites around midnight. Let’s pedal down to Mecycle, aka the bike café. A social enterprise, run by Autism Initiatives. My sanctuary when times are bad. Lovely young people dressed in black, serve teas, coffees, cakes. Wines beers and tasty treats. But they’re far from immune to the currents of negativity dragging our lives off course. We share our thoughts about the vote to leave Europe. We’re trying not to despair at the atrocities close to home, pounced upon so eagerly by the vultures of the media. We’re beyond dismayed by the ones that go unreported because they’re so far away, so insoluble. I’m drinking tea, eating a toasted teacake, feeling flat in a flat world. One of the black-clad young women stops to chat. We shake our heads, talk about that vote to leave. How sad it is that the campaign resurrected ugly spectres we thought were buried years ago. Or at least made unacceptable in polite society. Racism, bigotry, intolerance, lies. … we can all do something to make it better. We can all be good and kind and affect other people that way. We need to be a spiral of love. That’s not exactly what she said. Because that went straight to my heart. Bypassed my head, the place that remembers words. Except for that one word, ‘spiral’. ‘Spiralling’ is often used with down, with whirlpools of despair. But spirals can turn up as well as down, spread out as well as drawing in. Let’s create that positive kind of spiral. Give books, hugs and smiles. Gifts going round and round and round. Positivity spinning all about, till we’re giddy with hope. Naïve? I know, I know. But do you have a better idea? 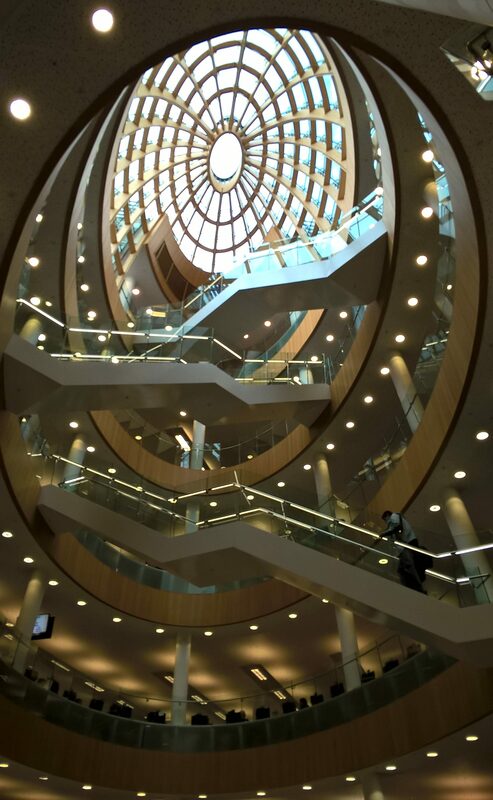 This entry was posted in Britain now & then, Thinking, or ranting, or both and tagged Brexit, friendships, gifts, giving, Liverpool, Mecycle bike cafe, Migrant Offshore Aid Station, Poetry, politics, sanctuary, small books, spiralling. Bookmark the permalink. 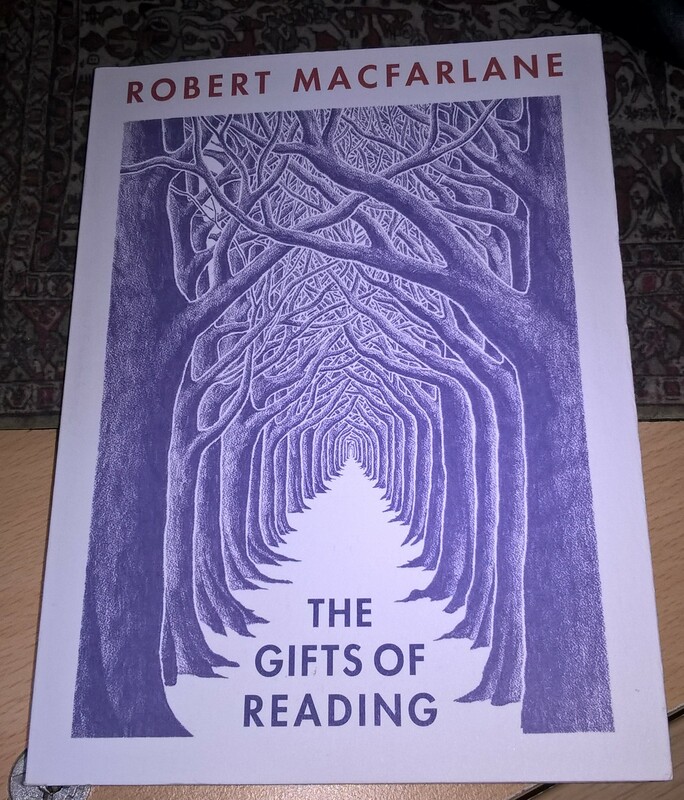 I also have a book, a gift from one of my children, by Robert MacFarlane, a different one, but it must be the same R.M. It’s called “The Old Ways”, “Ways” being footpaths. Look him up, he’s written other, “award-winning” books of a similar nature. Thank you very much John, I will. I have been delinquent on reading for so many years now – a lot to catch up on. I’ve always been a fiction reader but it seems to have lost its charm for me. Even among people who feel helpless to end the brutality that crushes innocent lives, I hear more and more individuals expressing the same sentiment as the black-clad young woman. All variations on the theme that each of us can do more than nothing. We each can add to the good in the world by making an effort to treat other people kindly. We can add to the upward spiral of love. That should give us all hope. Amen! Just don’t cross the streams.